Disclaimer: This post is sponsored by TransUnion and contains links to their products. I received a free demonstration of CreditCompass™ and am being provided compensation for my review of the product. All thoughts and opinions are my own. Credit scores get discussed a lot in the personal finance world, and for good reason. Your credit score is a very important part of your overall financial health, as it directly impacts many factors considered in major financial decisions – from mortgage rates and car loans to credit limits for everyday purchases. Despite the fact that credit is so important in major life decisions, it felt like for a long, long time we, the general consumer, didn’t have easy access to our credit scores, but that’s rapidly changed over the last few years. 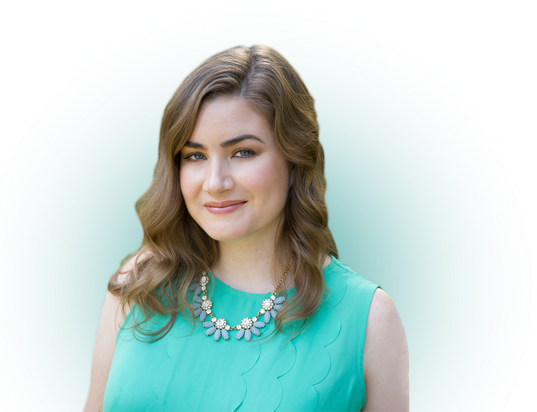 Now, we have pretty simple and even free access to our credit scores, which has made us even more obsessive about them, especially if you’re working to achieve the credit score you want! Having a good credit approach can help you feel confident and less anxious around these life decisions. 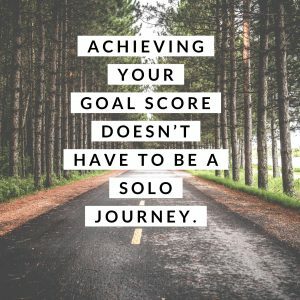 However, it can sometimes be difficult to figure out the best steps forward on the path to improvement because we all have unique, and, pardon the pun, personal financial situations. As the cliché goes, personal finance is nothing if not personal. One strategy that can be effective for you to stay in control of your credit score is to use a no-frills credit card with no annual fee. Then, just make one or two small recurring purchases (e.g. linking your Netflix account to your credit card) and have the card automated to pay off. That way, you don’t even have to carry my credit card in my wallet. This strategy keeps your utilization rate (aka the amount of available credit you use) nice and low, preferably well under 30%. For example, if you have a $1,000 line of credit, you want to use no more than $300 in a month and then always, ALWAYS pay it off on time and in full. The on-time payments can be critical for a healthy credit score. This two-prong strategy can be a helpful, effective way to build up and control your credit. It’s not dissimilar to how I originally built my credit score in college but using a credit card to purchase a tank of gas once or twice a month (I didn’t have to drive much) and then always paid it off on time and in full. 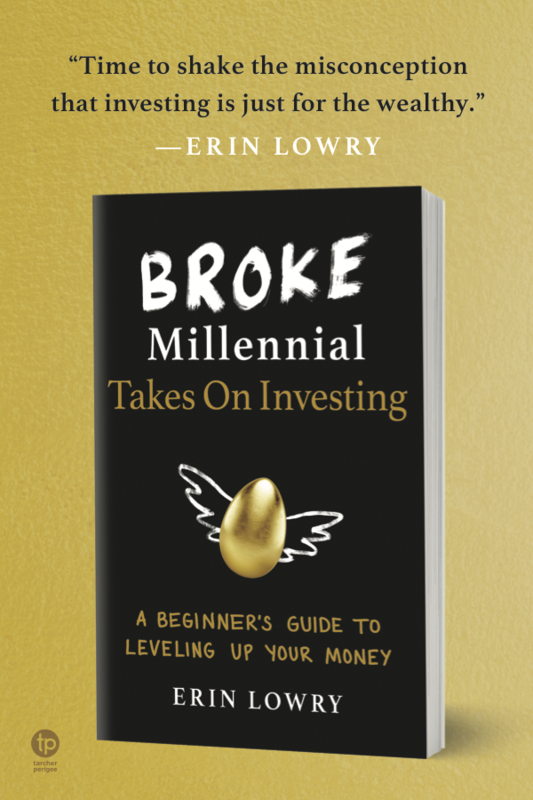 But that’s also just my general recommendation, which may not make sense for every financial situation. There is a lot of generic, “one-size-fits-all” credit advice out there, and it took me time to determine which steps work best, as the path to better credit isn’t always clear. If you are ready for a credit management plan that is more hands on and specific to help your situation, TransUnion’s new product, CreditCompass™, could help. CreditCompass provides clear, immediate next steps you can start taking today to reach your goal credit score over a two-year period, all personalized to your specific financial situation. The innovative new product works by aggregating data points from millions of people who successfully improved their credit health in situations just like yours to provide you with individualized recommendations for achieving your financial goals. The product allows you to clearly see the steps needed to achieve your desired credit score. 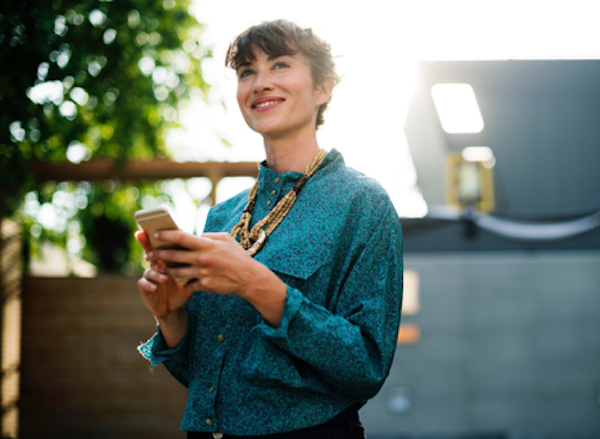 CreditCompass allows you to break free of generalized advice and puts you in control by providing actionable steps you can take to achieve your goal credit score. 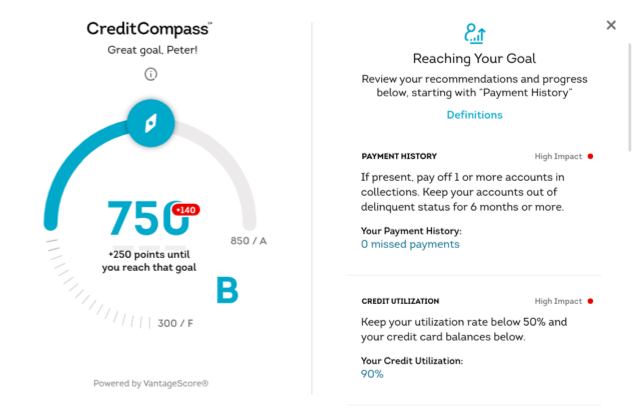 Additionally, CreditCompass uses the VantageScore® 3.0 credit scoring model to help create a customized plan as you go through the process of achieving the credit score you want. VantageScore is highly predictive and is used by lenders and financial institutions to assess creditworthiness by weighing payment history, credit age and mix, credit utilization, balances, recent credit applications and available credit. This nuanced approach to credit management aggregates data from consumer’s in similar situations to create custom recommendations, specific to your personal situation, to chart a path towards better credit health. To use CreditCompass, you set your desired credit score goal and the product will build a custom plan based on your current score to outline personalized steps towards achieving your goal credit score. CreditCompass will show you your current credit status, including your payment activity, on-time payments, your credit utilization, a snapshot of your debt (even if you don’t think you want to know, it’s a critical piece of your financial life!) and new/recent credit activity. That last piece is also really important for monitoring for fraud. From this information, CreditCompass will build tailored recommendations that will help you make good choices towards achieving your goal. The disclaimer above mentions how I received a free demo. Unfortunately, I can’t use CreditCompass myself for a very #humblebrag reason: my credit score is too high! CreditCompass is designed for people with a credit score between 400 to 750. I’m currently flirting with the 800+ club myself. While I achieved that score exclusively through the diligence of low utilization and always making on-time payments with my credit cards, it would’ve been nice to know back in the early days of me building a credit history how it really did all work! I was sort of shooting in the dark back then, just hoping I was doing it correctly. CreditCompass is included as part of the TransUnion Credit Monitoring subscription, which costs $24.95 per month. CreditCompass is one of many tools within the subscription, which also includes unlimited access to your TransUnion Credit Report and Score, daily updates, email updates sent to you about critical changes, email alerts if/when TransUnion finds out someone’s applied for credit in your name, the ability to lock and unlock your TransUnion and Equifax credit reports, access to ID theft specialists and up to a one-million dollar ID theft insurance policy. As with any fee you pay for a financial product, it’s important for you personally to determine value for yourself. CreditCompass is officially available now. Click here for more information or to subscribe.